Located in the southern channel of Emboodhu Finolhu about 1hr 10 minutes sailing from Male’. Emboodhu Express is named for its famous currents which can be up to 5 knots that attract large pelagics such as sharks and rays. The whole channel is a marine protected area. The southern corner is the shark point. 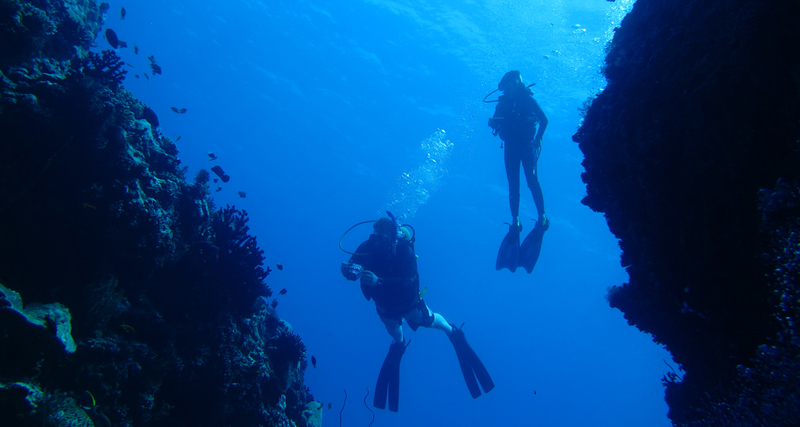 This dive is ideal for advanced divers as the sharks are more likely encountered at greater depths. The dive starts outside the channel: go down to about 15 meters and follow the reef on the right shoulder until you reach the corner then descend to the channel bottom. If the current is running in there is no need to go to far into the channel: stay at about 30 meters and wait; the sharks will come closer and closer. White tip reef shark and grey reef shark are the most common. An occasional hammerhead might cruise by as well as eagle rays, sting rays, napoleon, groupers and barracudas. Watch you dive time and air consumption. 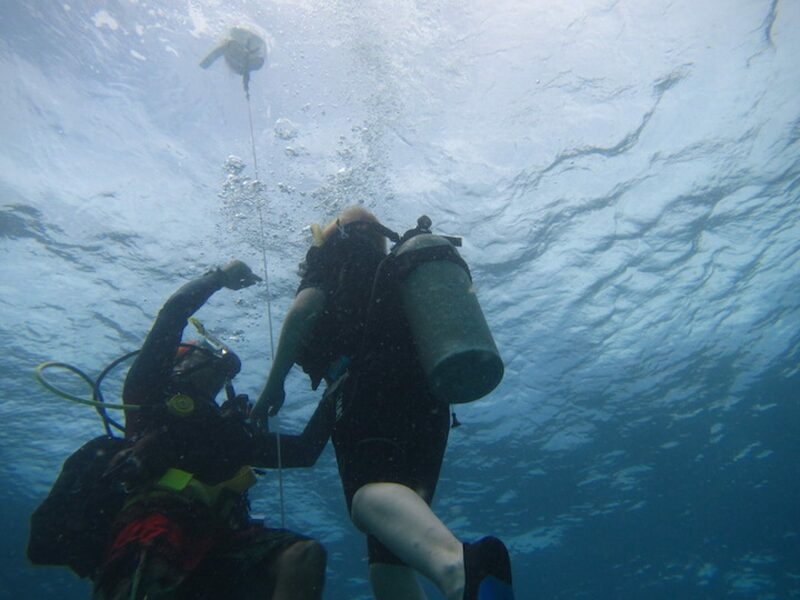 to finish your dive and do a safety stop protected from the current. meters and falls down to about 35 meters. The name Cathedral comes from the huge overhang that extends in to the reef like a celestial dome, densely grown with sponges and soft corals. 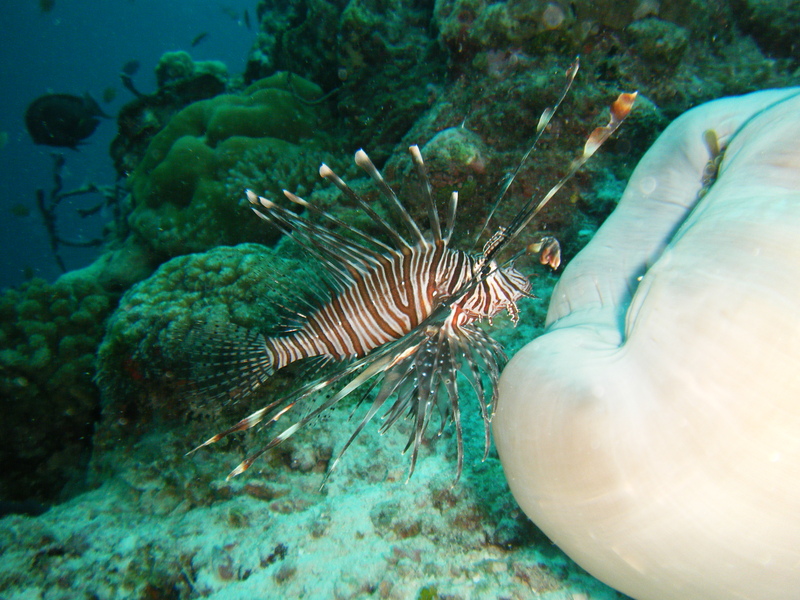 Within the overhang in the reef are two smaller niches where large lion fish and moray eels live, large tiger cowry shells are often seen here as well. The walls at shallower depths have many small crevices full with life. Keep looking to the deep as well as large fish swim by. This is a very colorful dive with lots of marine life. large schools of sweet lips and red snappers, napoleon wrasse, thousand of anthias and huge groupers hiding among the rocks. The corals on the outer side of the canyon are magnificent. Further along from the canyon the reef becomes a vertical wall with lobsters, eels and shrimp amid the colorful coral coverage. White tip reef sharks are often seen cruising in the current. 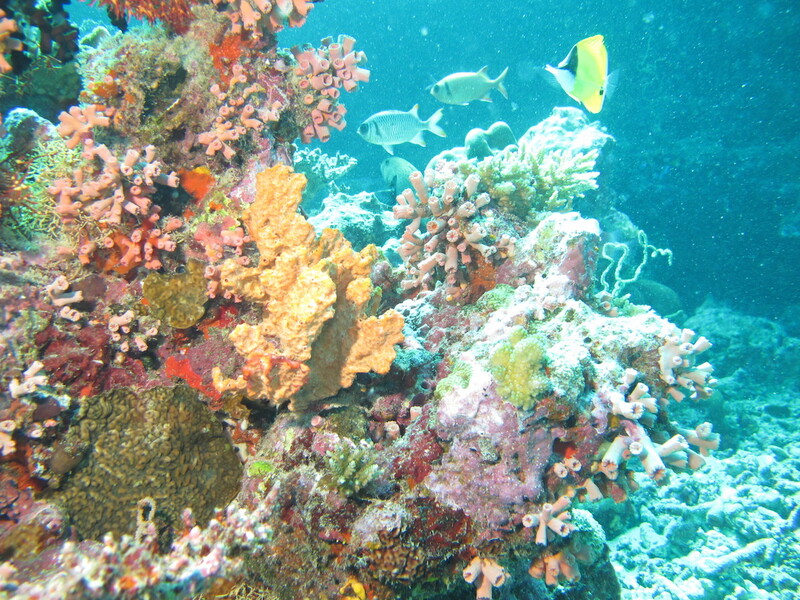 This reef is located west of Vaadoo, about 60 minutes from Male’. This is a good dive for novices. and damsels surround the corals with schools of trigger fish and banner fish hovering above. the current might change, it is time to go to the top of the reef and finish the dive. bottom. Large schools of the red tooth trigger fish and anthias are seen here. the deep. Large fish can be seen cruising around here as well as sharks. on this site. 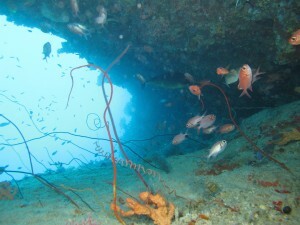 Keep the reef on the left and youwill find another overhang at about 8 meters. Out on the reef top with a slight current you will be surrounded by fusilier fish.